After 6 days lounging around the beaches of Tangalle, we headed west up the coast by bus to the small town of Unawatuna. 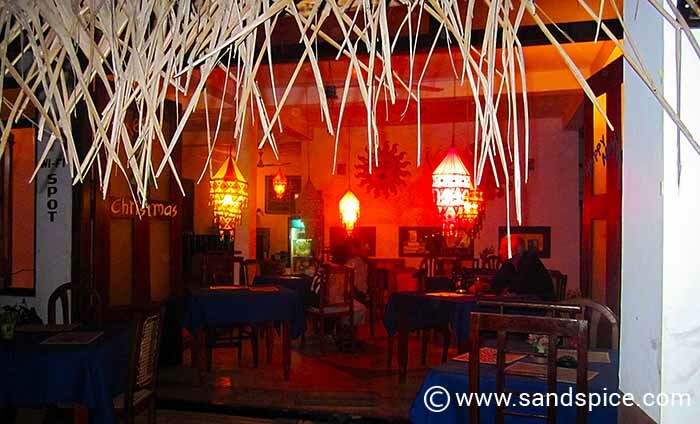 We had heard about some special beaches in the area, in particular Jungle Beach Unawatuna. 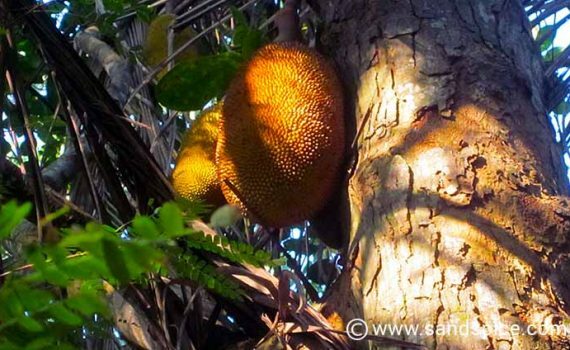 We had booked a 3-night stay at Sam’s Guesthouse, located on the inland side of the main coast road. This was literally across the road from the bus stop where we alighted. Sam’s Guesthouse is one of the friendliest guesthouses we stayed at in Sri Lanka. We were made very welcome, and their food was really delicious. They have 4 rooms, 2 at the front and 2 at the back, plus a large communal terrace at the front. The rooms are clean and tidy, and the family are very helpful providing directions and organizing trips. 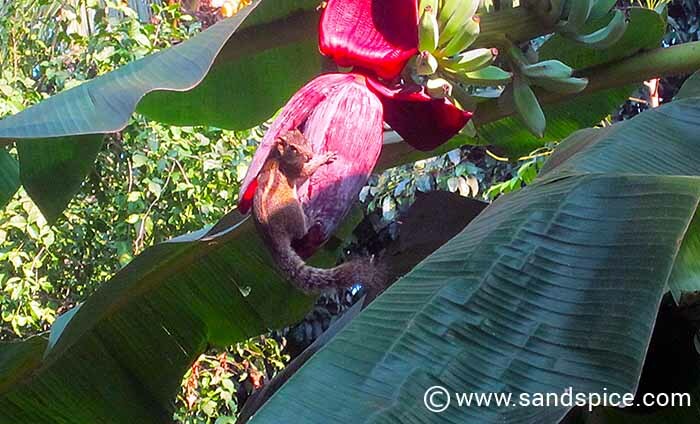 Sam's Guest House is right on the busy Colombo road, so it can get a bit noisy sitting on the terrace. However, with the bus stop right across the road, this is an easy place to get to and from. After spending time on the endless beaches of Tangalle, Unawatuna feels a little compact – and very touristy. On the main strip, the beach area was packed to capacity with beachbeds and sun-worshipping westerners. Walking further east along the beach we found more space to move, and more locals enjoying the sand and surf. 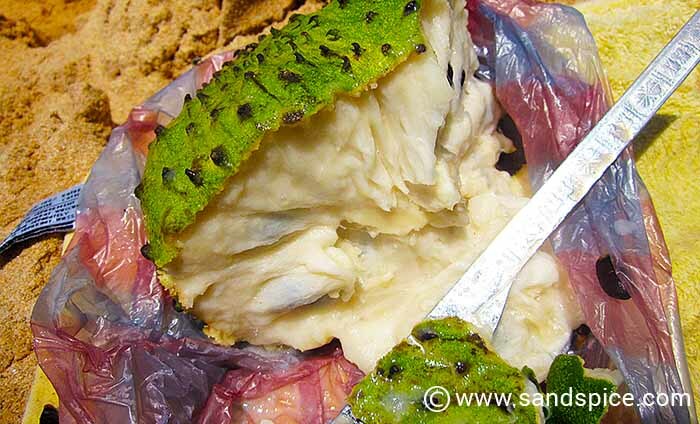 Before setting out we’d loaded up on exotic fruit: wood apple, jack fruit, red bananas, and our personal favorite – soursop, a custard-textured tangy delight. We found a quiet spot in the shade to enjoy our nutritious lunch. In the evening, Unawatuna comes alive with lights and music. There are plenty of places to eat and drink, but we preferred the relative peace and the excellent cuisine of our Guesthouse. 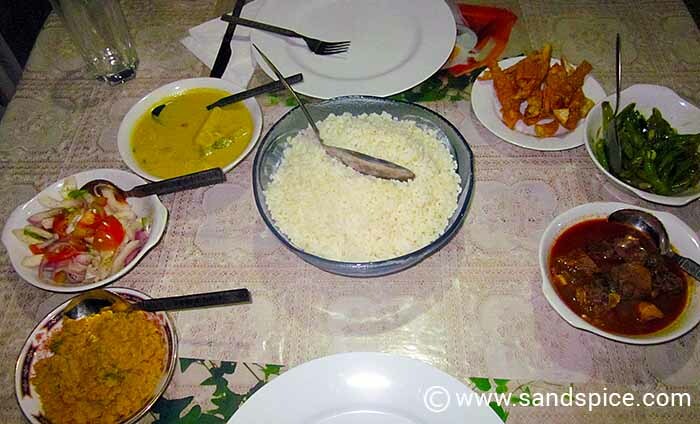 Each evening we were served typical Sri Lankan dishes prepared by the family. A restaurant in the town – still celebrating Christmas! 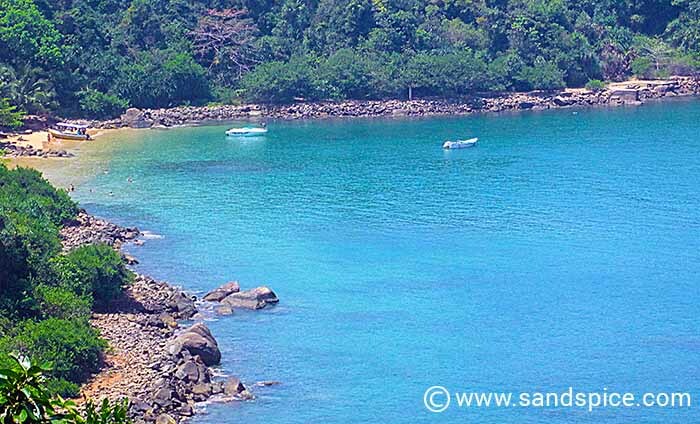 Although we didn’t like the busy main tourist strip in Unawatuna, you can walk a couple of kilometers in either direction away from the center to reach more secluded beaches. In particular, a place worth visiting for the day is Jungle Beach. 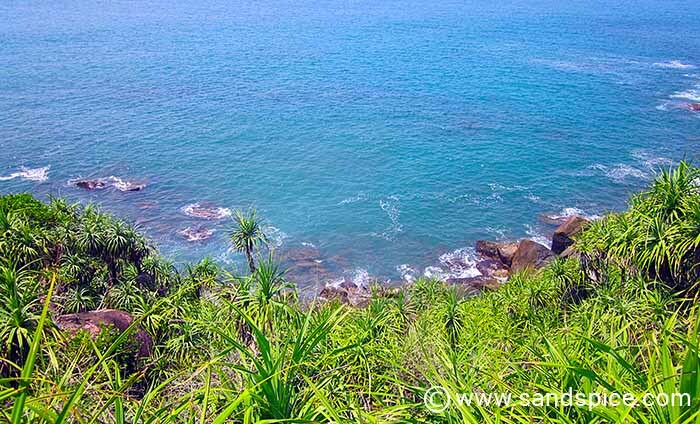 This is not far from the Japanese Peace Pagoda which is located on the headland between Unawatuna and Galle. Jungle Beach is well worth the 40-minute walk from the town. A perfect place for swimming and snorkeling. If the beach restaurant doesn’t get too busy, there’s good food to be had as well: the barracuda & salad went down very nicely. After 3 days in Unawatuna, we would be taking take a short bus ride on the next leg of our journey. Around the headland to the old Portuguese city of Galle.